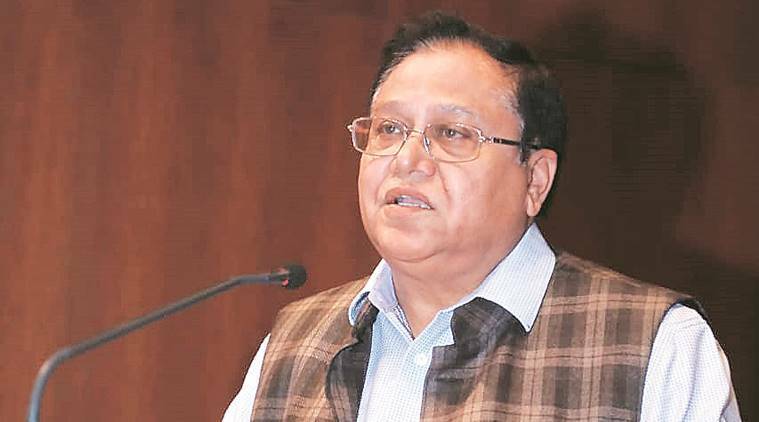 “Indian scientists would take up research works from foreign countries and simply add another layer to the existing knowledge,” said VK Saraswat. The Indian scientific community has emphasised on the need for a more serious approach towards investments in science and research and said the new government at the Centre should be committed towards promoting scientific temperament. “Indian scientists would take up research works from foreign countries and simply add another layer to the existing knowledge. This trend needs to change. Research must be user-inspired and translational in nature, so that the problems faced by our country are addressed,” Saraswat said during his recent visit to Pune. The senior defence expert said while there was a slow change in the approach recently, with laboratories, research organisations and colleges setting up incubation centres and similar facilities for carrying out research activities, he expressed hope that the country’s research expenditure will be increased in the next five years to touch more than 1 per cent of the GDP. A section of the scientists, who expressed displeasure with the sitting government, meanwhile have signed up for an online petition asking people to make “informed choices” while electing the next government during the upcoming Lok Sabha elections. “We must reject those who… create an atmosphere in which scientists, activists and rationalists are hounded, harassed, intimidated, censored, jailed, or worse, murdered… We also appeal to all citizens to remember our constitutional commitment to scientific temper,” the online petition reads. Hundreds of scientists from top science academies and national research institutions have reportedly signed the petition. A few scientists also expressed displeasure over the National Institution Ranking Framework (NIRF) policy, introduced by the Ministry of Human Resource Development (MHRD). “It is unfair to evaluate performances of institutes that vary in their disciplines, number of years of existence and other outcomes, with the same yardstick. The rankings affect the funds that are then allotted to the institutes,” a senior economics researcher from Pune said. Soumitro Banerjee of Indian Institute of Science, Education and Research (IISER), Kolkata, meanwhile, batted for complete freedom in the choice of research areas. The government, he said, should not dictate what it perceives as “relevant”. Last month, central universities in the country were asked to identify and take up researches only that are in the “national interest”. An senior academician associated with the Central University of Kerala had quit after the MHRD came out with the order. “There must be complete institutional autonomy in academics, staffing and finances. The political interference in functioning of universities must end, only then can they strive to achieve excellence,” Banerjee said. The scientific community hailed the online learning opportunities and platforms like Massive Open Online Courses (MOOC). “Strengthening schools, colleges and universities, where masses take education, must be the focus,” AK Nangia, director, CSIR-National Chemical Laboratory (NCL), Pune, said. Indologist and orientology expert, Srikant Bahulkar, said that the government must continue to support research in ancient Indian languages and cultures. “We hope that the new government, too, will support studies in these areas and undertake programmes like National Mission for Manuscripts. It is very important to preserve India’s rich heritage,” Bahulkar, honorary secretary at Pune-based Bhandarkar Oriental research Institute (BORI), said.